Hello everyone! I have a special treat for you today! Jocelyn from Fetching Konad Creations and I are doing another twin post! This time we decided to pick an image plate to do a twin post with. Jocelyn allowed me to pick the plate. Of course we chose the new Bundle Monster plates to use in this twin post. I love how this turned out! This pink is super neon! I didn't even use a white base coat under the pink. Very beautiful and very opaque. I have a soft spot for black and white glitter and to add my other favorite color which is pink underneath...Oh my goodness I am in love! Please check out my nail polish sister's page and post! Fetching Konad Creations! 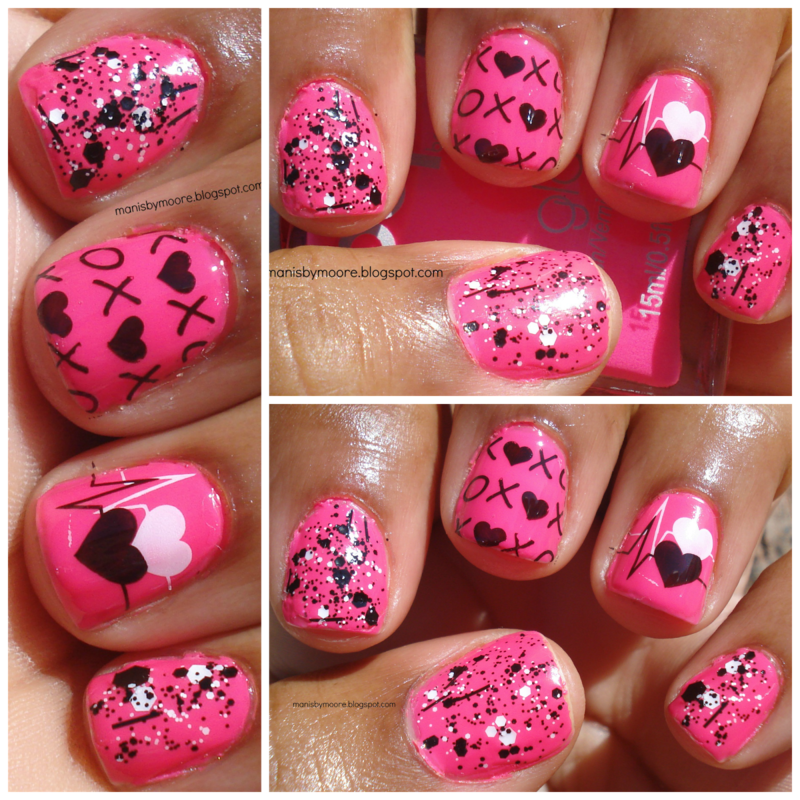 What do you think about pink with black and white glitter?? Have you tried the new Bundle Monster Stamping plates?? Thanks for stopping by! ABSOLUTELY AWESOME! It's gorgeous! LOVE the double stamping on your accent nail! Thank you so much! I was worried about how it was going to look. Thank you so much!! I totally agree! These are absolutely adorable!!! Great job! hell ya! I love the BM 2013 plates, and this mani is no exception. Pink & black are soooooo good together. Thank you so much!! I am obsessed with these plates! I think this is my favorite set of plates that I own!